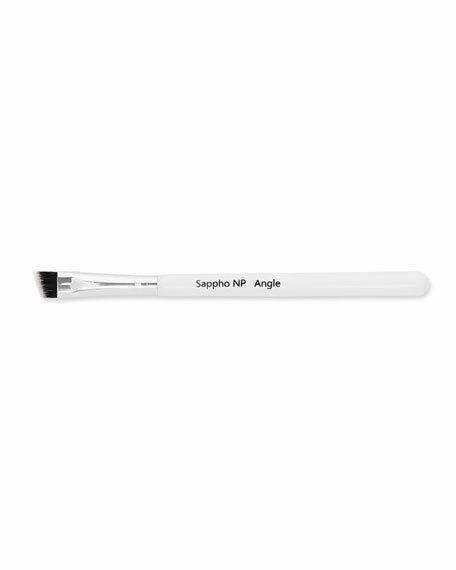 Cruelty free and wonderfully tapered this brush is a must for anyone that loves to work with browsespecially with brow pomades and darker shadows. New ombré tapered brush picks up precise amounts of product and applies smoothly to diffuse cheek shades seamlessly across the skin. May be used with both powders and liquids. The handle is made of non-endangered wood in a pale ivory finish. Washable. Cruelty-free, synthetic vegan brushes.